On the occasion of READYMADES BELONG TO EVERYONE, Swiss Institute together with the Graham Foundation for Advanced Studies in Fine Arts are pleased to host a talk by David K. Ross. 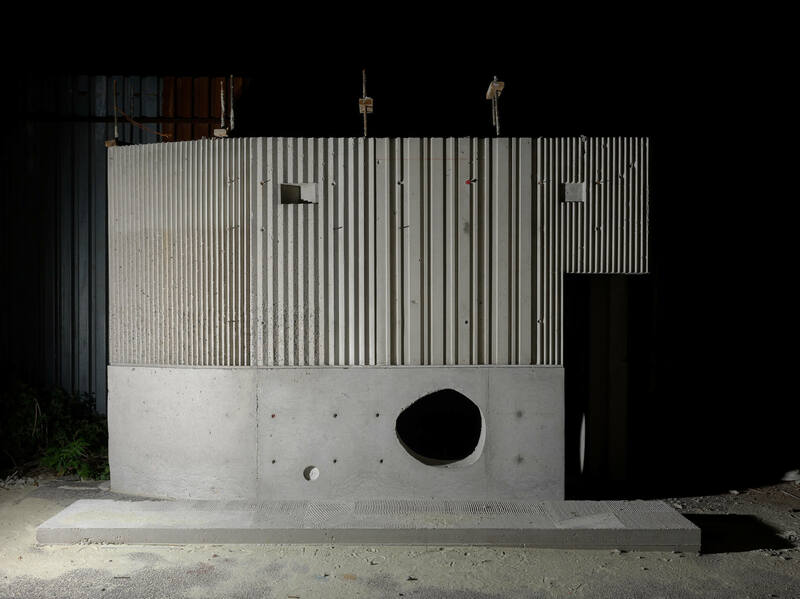 Ross will present recent images from Archetypes, a photographic project that documents full-scale architectural mock-ups found on construction sites and testing facilities around the globe. David K. Ross’s projects lie at the intersection of photography, film and installation, with a particular interest in the ephemeral and inchoate aspects of civic or cultural infrastructures. Ross is based in Montreal, Canada where he is currently a Visiting Researcher at the Faculty of Fine Arts at Concordia University, Montréal. He is the recipient of numerous awards and grants for his work including support from the Graham Foundation for Advanced Studies in Fine Arts, Arts Council England, the Canada Council for the Arts and the Conseil des arts et des lettres du Québec. His work has been exhibited and screened widely, including at The Graham Foundation, CineMarfa, the Toronto International Film Festival, the Musée d’art contemporain de Montréal and the National Gallery of Canada.